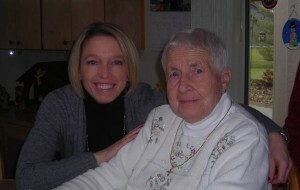 My grandmother, Ann Davalla, taught me to knit as a young girl. I can still see her care worn hands guiding me through the stitches. I learned many things from Grandma over the years, but one of her favorite sayings about knitting has stuck with me. How liberating that phrase was to me! Grandma gave me permission to be human and a reason to accept my mistake. I think this knitting lesson could apply to life in general. So be human and knit on! You’ve heard of the carpenter’s mantra, “Measure twice, cut once.” Knitters should count their stitches twice, knit once. It is painful to get to the end of a 187 stitch set up row and find out you only cast on 186 stitches! Posted in TipsTagged count4 Comments on Count your Stitches! When looking at the two “legs” of a knit stitch, the left leg of the stitch should be behind the needle with right leg in front. If you put your stitches with the right leg in front, essentially twisted, then I have a great tip for you. To untwist your stitches, simply knit into the back loop of the twisted stitch and VOILA! Your stitch is now sitting on the right hand needle in the correct position with the left leg behind the needle and no twist. If you are like me, you are wondering where was this tip when you untwisted 97 stitches before knitting them! Tie the tail from your cast on stitches in a bow. Should you grab the tail instead of the working yarn, you will be stopped quickly by the bow and only need to unknit a few stitches. Every knitter, no matter their skill level, knits with the tail now and then. UGH! If you make a mistake in your knitting late in the evening, resist the urge to rip it out. Put it aside until tomorrow. Chances are the mistake won’t look as daunting in the morning when your eyes are sharper and you are rested. 11pm is my bewitching hour and I never rip out after that time. 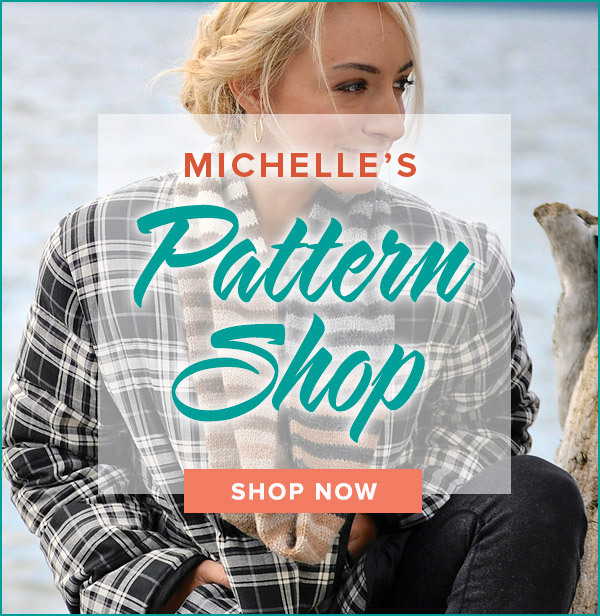 If you want to keep knitting after your bewitching hour, grab an easy project and knit til the wee hours! 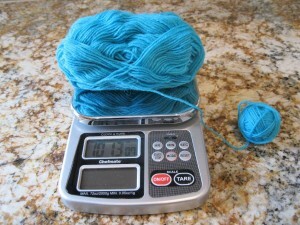 I have found that the best use of a food scale is to weigh your yarn. (My friend the Weight Watchers instructor hates when I say this!) I purchased a digital food scale that displays both ounces and grams. They can be found at many large retail stores (Target, Walmart, etc.) and are fairly inexpensive. I also use the scale to weigh completed socks to help me determine if I have enough yarn remaining to knit the second sock. For example, you knit a sock for a long foot and you are unsure if you need to purchase more yarn – weigh the completed sock and compare it to the weight of the yarn left over. If the completed sock weighs less than the weight of the remaining yarn then you will not need to purchase more yarn. 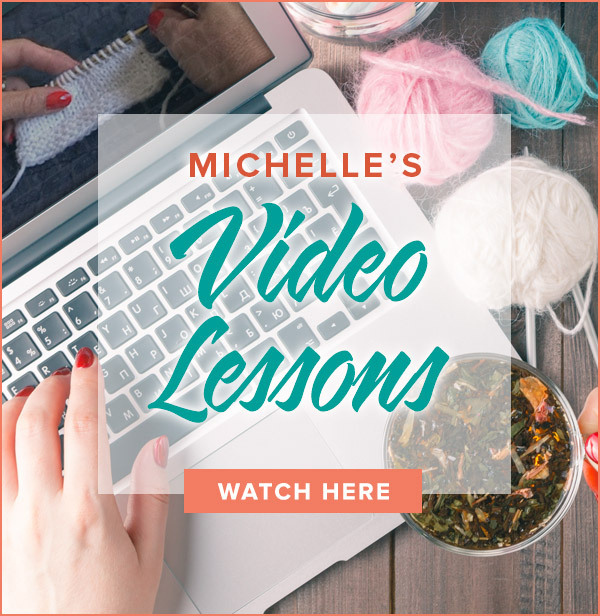 If you want to knit two socks at a time with a questionably short yardage amount – use the scale to divide the yarn evenly and knit two toe up socks until the yarn is gone. I have been midway through a sweater project and not sure if I have enough yarn left to knit the last sleeve. I will just weigh the finished sleeve and compare that to the amount of yarn I have left. This has saved me from being a little short on yarn and then scrambling to find the right dye lot.